We hope this tooth-e finds you happy, healthy, and ready to embrace the warmer Washington weather we have all been waiting for. We are excited to announce that we have introduced new equipment into our hygiene rooms. At your next recall visit you will experience all new piezon scaling and air polishing technology. The combination of these new instruments and products allows for efficient and effective treatment in the safest way possible. Patients have responded positively to the treatment, impressed by how comfortable and a gentle it is for a cleaning technique…read more in our featured article. On another note, we would like to extend a warm thank you to everyone that participated in our 7th annual open house in April. It was a huge success and we are happy to have seen so many of you. We will announce next year’s open house date in the fall. 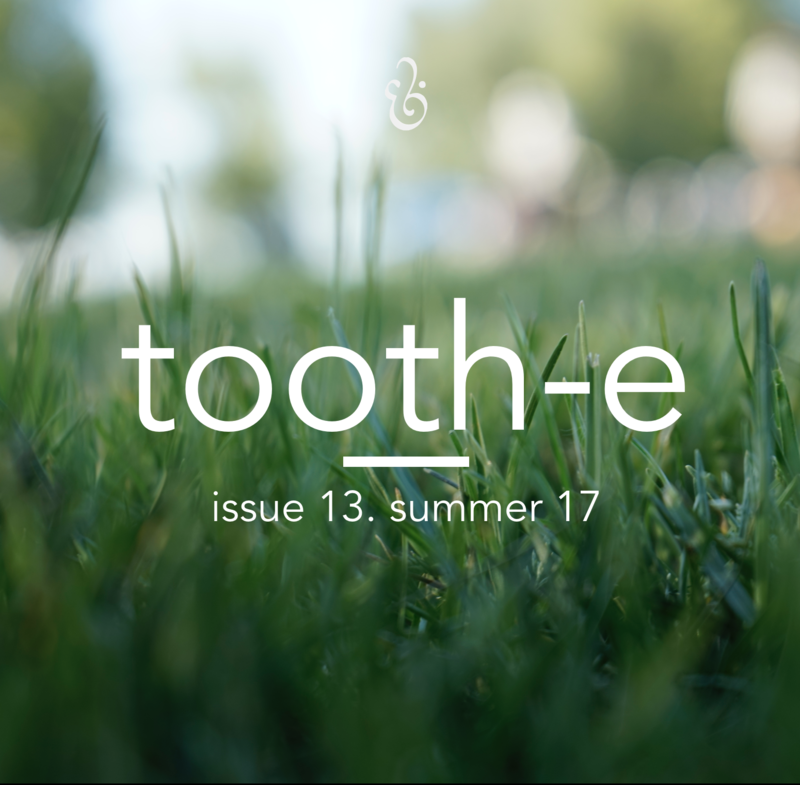 We hope you are all having a wonderful start to your summer; be sure to read below the latest trends in dentistry, recommendations, announcements and more. We look forward to seeing you! BLACK TOOTHPASTE THAT WHITEN TEETH? While charcoal has made a debut in food (such as ice cream and pressed juices) and beauty aisles, it has recently made an appearance in oral care as well. That’s right, charcoal toothpaste seems to be a largely trending item and is raising questions from many of our patients. Although this bizarre toothpaste appears dark in color, almost dirty (something rather ironic in the world of oral hygiene), the use of charcoal is said to have detoxifying and whitening benefits for teeth. CLICK HERE for more information concerning the significance of charcoal in toothpaste, its use, and possible benefits or consequences of this latest dentistry fad! In the face of constantly changing technology, Hansen & Associates has continued to hold a high priority of delivering the best and most effective treatment possible for our patients. Because of this we recently introduced new air polishing and piezo technology in our hygiene rooms to provide state of the art therapy in periodontal management and maintenance. Unlike previously used methods with sodium bicarbonate, the Air-Flow® & Perio-Flow® system by Hu-Friedy uses a mix of water and ultra-fine glycine powder particles to polish the teeth clean. The 25-micron powder completely blasts plaque off the gum line removing harmful biofilm and bacteria from the crown as well as reaching more than 5mm subgingivally to the root surface. Each tooth takes as little as 3-5 seconds and is followed by hand scaling and the piezon system to remove any hard deposits. Click here for more information on our practice's newest technology. • The average American spends 38.5 total days brushing their teeth over a lifetime. • Consumers in the U.S. buy 14 million gallons of toothpaste every year. • Cavities in teeth have been filled since the earliest of time with a variety of different materials, including gum, stone chips, and even turpentine resin. BOOK: "Where'd You Go Bernadette?" In “Where’d You Go Bernadette?”, author Maria Semple strategically uses a series of letters, quotes, and conversations to tell the story of a mother who goes missing through the point of view of her daughter, Bee Branch. Placed in Seattle, the story begins when Bee aces her report card at school and claims the promised prize of a trip to Antarctica. Click here for the full book recommendation. In case you didn’t know already, Cocofloss is our current favorite product! This ‘fresh-cut’ dental floss comes in four flavors: Fresh Coconuts, Pure Strawberries, Cara Cara Orange, and Delicious Mint. The microfiber filaments used in Cocofloss gently scrub your teeth and refresh your mouth. Be sure to pick up a box (or two) before your first summer vacation. If you aren’t traveling you can floss your way to a coconut paradise. Want to serve up a slice of something sweet, but not looking for the extra calories that are found in most cakes? Here is an adorable alternative with a summer twist! Watermelon ‘cake’ consists of one whole watermelon and other fruits or berries of your choice (e.g. strawberries, blueberries, melon, etc.) to fill the center of the cake. This makes a great family project for the summer, provides a fun new way to eat fruit, and keeps everyone hydrated! July 2 Freedom Concert 6:30 p.m. to 8:00 p.m.
July 6 Uptown Summer Concerts 6:00 p.m. to 8:00 p.m.
July 8 7 Seas 8th Anniversary Event 2:00 p.m. to 8:00p.m. July 11 Summer Sounds at Skansie 6:30 p.m. to 8:00 p.m.
Click here for more information on upcoming events in Gig Harbor!